*All photographs featured in this article are a property of World Wrestling Entertainment and can be found on their official site. In the beginning of April 2012 the world witnessed Wrestlemania 28, where The Undertaker and Triple H had an unforgettable encounter and The Rock was able to get an unforseen victory over John Cena. The aftermath of that event was even more memorable as Brock Lesnar made his return to the WWE and immediately set his sights on John Cena. Many (if not all) of the major rivalries that have been taking place in the past couple of months or so did not get closure at Wrestlemania 28, which resulted in almost all the matchups in Extreme Rules 2012 being Wrestlemania 28 rematches with new stipulations. The only match that was actually new and exclusive to this event was the one between John Cena and Brock Lesnar. Extreme Rules 2012 is essentially a direct ‘sequel’ to Wrestlemania 28 with the idea to once and for all bring closure, and start a whole new chapter for 2012. What follows now is the review of what may be the best WWE Pay-Per-View of 2012 thus far, and as always you can look forward to our extensive discussion about this event and the aftermath in the upcoming episode of CC Powerslam. This review will cover only the main matches that were hyped in the build-up of the event. It will not be covering the pre-show Youtube/WWE.com exclusive United States Championship match between Santino Marella and The Miz, and it will also not be covering the two bonus last minute filler matches. Now without further ado…let’s get EXTREME. This match was a great opener because it really got the crowd pumped and ready. Kane and Randy Orton have been putting on solid matches since 2011 and their in-ring chemistry just clicks. This match was no different. They made good use of the match stipulation and pretty much went all over the arena, interacting with the crowd and going backstage. There was nothing fancy about this match as it was an old school brawl with some cool spots, and it even had a humorous interference by Zack Ryder. The match finish was a little predictable as it was pretty much exactly like how their previous matches on Smackdown ended. Apart from that somewhat disappointing finish, this was a solid match with good pace and good use of the stipulation in place. This match was actually about the same length as their mediocre encounter at Wrestlemania 28, but it actually ended up being a better match simply because of the way it ended. The match pretty much had Big Show dominating Cody Rhodes with the typical body slams and tosses. It had this one neat moment where Cody Rhodes was able to bounce off a table to hit the Beautiful Disaster, even though the execution was sloppy. The best moment was the ending, which involved Rhodes essentially dropkicking Big Show’s leg off the ring apron and onto the table that was set outside, giving Rhodes the victory and making him the new Intercontinental Champion. It didn’t really look like Cody Rhodes putting Big Show through the table, as instead it looked as if Rhodes made Big Show accidentally step on the table. 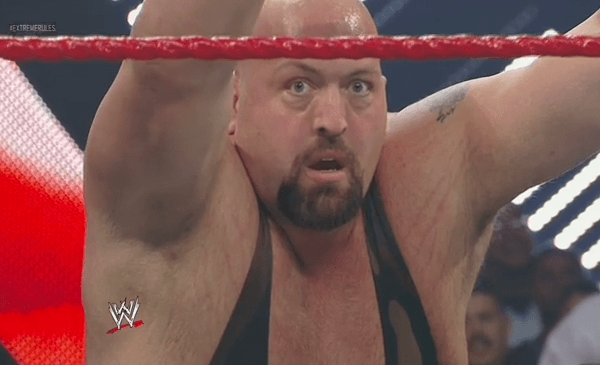 To sum up, this moment is easily one of Big Show’s best embarrassing moments, and the look on his face pretty much summed it up perfectly. The post-match table antics were pretty solid as well. The match between Daniel Bryan and Sheamus for the World Heavy Weight Championship at Wrestlemania 28 is easily among the worst matches ever, and demonstrated absolutely poor booking. However, that disaster of a match did set an interesting foundation for the feud as the build-up to the Extreme Rules rematch was done well and received a very interesting reaction from the crowd. The 2 out of 3 falls match at Extreme Rules was pretty much the match that should have happened at Wrestlemania 28. This match allowed both Daniel Bryan and Sheamus to demonstrate their true capabilities as the in-ring chemistry between them was great. It was a well worked and paced match that went back and forth. It was also great seeing such a passionate and divided crowd behind it. Daniel Bryan pulled off some really unique and painful looking submission holds, and the direction that they went with this match was unpredictable as Bryan would get himself disqualified in the first decision but follow up with a submission victory for the second decision. The third decision had Sheamus pulling off an impressive Brogue Kick to retain the World Heavyweight Championship. What was great about this match was how well they implemented Daniel Bryan’s tactic to work on Sheamus’s arm, to the point where he even got himself disqualified just to continue working on the arm. Sheamus did an excellent job selling the arm injury, as he would pass out to the Yes! Lock submission and continue to display pain. It was great to see Sheamus struggle in a match and really fight hard for his victory, and is perhaps the most passion and emotion he has ever shown. Overall, this match had great in-ring psychology and storytelling, and is easily the best match Sheamus has ever worked.